Ten shafts of granite arranged around the southeast end of Lord Hall contain a variety of design elements and provide close-up visual and tactile interest. 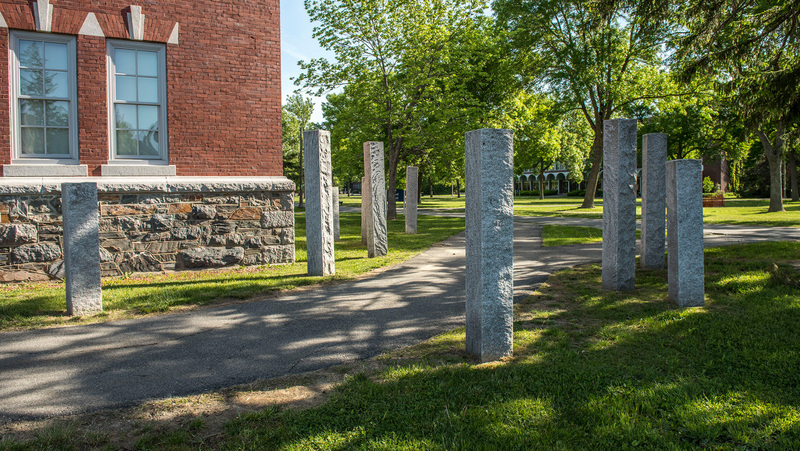 Titled Herma, these stone shafts reflect the artist’s background in engineering, environmental design and studio art. The word Herma comes from the Ancient Greek and draws on the concept of a sculpture that includes a squared lower section. Haynes has received a number of commissions for public art; this 2006 work was a Percent for Art commission, in response to major renovations in Lord Hall.